Rancher is an open source container management platform. It allows you to run and manage Docker and Kubernetes containers with ease. Rancher provides infrastructure services such as multi-host networking, load balancing, and volume snapshots. In this tutorial, I will show you how to install and configure Rancher on Ubuntu 16.04 LTS. We will install Rancher on an Ubuntu server, enable local authentication, add the rancher host, and then try to run single container application from Rancher Dashboard. Rancher can be installed as a set of Docker Containers - one container as a management server and another as an agent. And we need the Docker installed on all our rancher hosts. Update your Ubuntu repository and upgrade all packages. 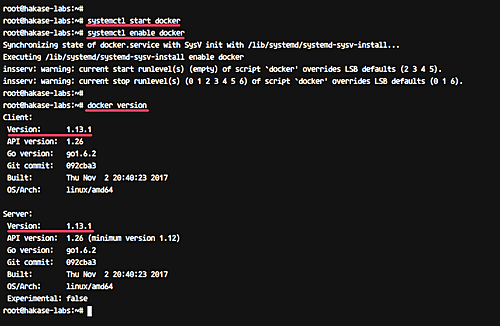 After the installation is complete, start the docker service and enable it to run everytime at system boot. The Docker is now installed and running on our rancher host - check it using the command below.